The Write Foundation is a homeschool writing curriculum developed and adapted by homeschooling parents to equip their children with the tools to quickly organize and write an essay with confidence. The writing skills system begins with basic organization, drilling the fundamentals of brainstorm, outline, rough draft, edit and final draft. Learning organization helps your student break down a project into bite-sized pieces and confidently move step-by-step to complete the writing assignment. Repetition of the basics reinforces the concepts until they are learned. This innovative curriculum, written by a veteran home educator and tested extensively in individual and co-op settings, has proven effective in enabling reluctant, average, and gifted writers to develop and improve their writing skills. The proven writing program gives you the tools to teach your students how to effectively plan and write a quality essay from scratch, teaching them excellent writing skills. New Interactive Digital Format: You type on the Teacher Presentation as your students write on their worksheets. Now a part of each curriculum package in the Additional Resources. Intimidated about grading? Want someone else to hold your student accountable? The Write Foundation offers Online Grading and Tutoring. You teach the lesson, your student does the work, an experienced grader evaluates your students work. Let's get writing! The Write Foundation easily fits a variety of teaching settings. TWF can be used one-on-one or with more than one student of varying ages in a homeschool setting. 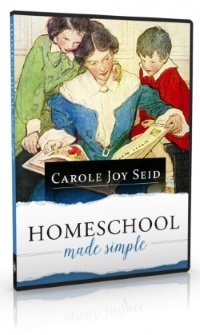 It also works well with multiple students in a homeschool co-op setting. Writing is a complex subject to teach, so the teacher is equipped with detailed lesson plans, grading specifics and other teaching tools for home and co-op settings. This is a writing program I believe any parent could comfortably teach-even those who call themselves “non-writing” parents. Rebecca is a customer service dream, readily and efficiently responding to any questions I’ve had via email or phone. I have also purchased the Level 2: Paragraph Writing to teach next year, and expect to buy the Level 3: Essay Writing two years from now. By the time students move through all three levels of The Write Foundation’s curriculum they will have learned the skills to write a formal college level 5-paragraph essay, formal research paper, and have experience with timed essays. The Write Foundation has 5 levels available. Each level can be completed in 1 or 2 years depending on your schedule and your student’s maturity and ability level. Entry Level I: Prepare to Write for ages 8 – 11, develops basic sentence writing skills by teaching sentence structure and grammar using the 8 foundational parts of speech to write sentences. Common writing errors such as what makes a sentence complete, capitalizing the first word of every sentence and ending sentences with punctuation along with basic homonyms, contractions, and other writing skills are introduced and addressed. Each lesson uses engaging writing activities and games, which develop and advance students’ creative writing abilities and other writing skills. Entry Level II: Creating Sentences for ages 9 – 12, prepares students for paragraph writing by teaching them how to develop better sentences with basic grammar and figures of speech, while dealing with common writing errors such as when is a noun proper, misused homonyms, and apostrophe confusion. Each lesson uses engaging writing activities and games, which develop and advance students’ creative writing abilities and other writing skills. Level 1: Sentence to Paragraph for ages 12 - 14, flows from writing descriptive sentences to learning how to use the writing process and structure for developing creative and informative yet concise single paragraphs. Basic grammar and figures of speech are studied as students use them to enhance paragraphs while learning the writing process so they can easily write paragraphs. Sentence to Paragraph is a middle school and lower high school level course. Level 2: Paragraph Writing for ages 14 - 16, begins by reviewing the writing process and structure for basic single paragraphs, transitioning into formal paragraph writing using the writing process and structure to develop 1, 2, 3, and 4 paragraph papers, and then introducing and writing a formal college level 5-paragraph essay. Paragraph Writing is a high school level course. Level 3: Essay Writing for ages 16 - 18, opens with 3 and 4 paragraph formal narrative writing, reviews and then develops the writing process and structure for formal college level essays, which are 5+ paragraph papers, leading into step-by-step development of a formal research paper and ending with practicing timed essays. Students need to already easily use the writing process and structure to take this high school level course. Essay Writing is a high school level essay writing curriculum.